Dennis attended Texas Tech University were he received his undergraduate degree before attending the Texas Tech University School of Law. Upon graduating from law school, Dennis joined Wagonseller, Cobb, Burrows & Snuggs in Lubbock, Texas. As an associate and then a named partner, Dennis worked for eleven years focusing his practice on personal injury cases. 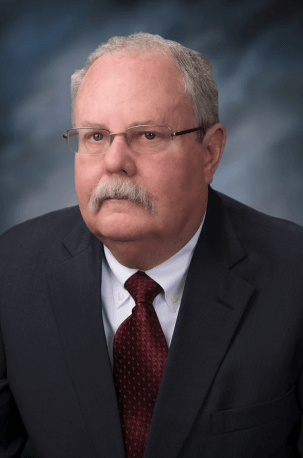 Dennis then joined McClesky, Harringer, Brazil, & Graf LLP where he focused his practice both defending and pursuing personal injury claims for 35 years. Dennis has received numerous awards and accolades during his career including being named as a Super Lawyer numerous years in a row, inclusion in the National Academy of Personal Injury Attorney’s Top Ten Personal Injury Attorneys in North Texas, and receiving an AV rating from Martindale-Hubbell. Additionally, Dennis is a Life Fellow of the Texas Bar Foundation, and honor that is given to less than 1% of attorneys each year. Not only is Dennis licensed to practice law in the state of Texas, he is also licensed in Colorado, the U.S. District Courts for the Northern, Southern, and Western Districts of Texas, and the 5th Circuit Court of Appeals. Dennis is a member of the Lubbock Area Bar Association, the Colorado Bar Association, the State Bar of Texas Consumer Law, Litigation, and Torts and Worker’s Compensation Sections, the American Board of Trial Advocates, the Million Dollar Advocates Forum, and the Litigation Counsel of America. "Mr. Liggett and his staff are compassionate, friendly and helpful. My settlement was more than I expected and I had treatment that, had I handled this on my own, I probably would not have had. I highly recommend Liggett Law Group."